Two year ago, I received one of the most important phone calls of my entire life...the call letting me know that I had a baby girl living in Ethiopia :o) I will never forget that phone call. 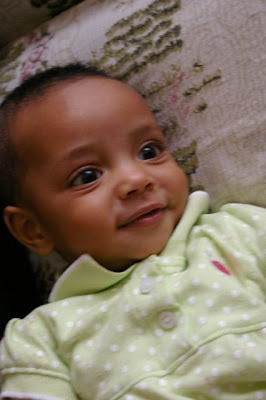 In the matter of thirty minutes I learned the history of my tiny, beautiful baby girl. The call was incredibly bittersweet. My sweet girl endured more heartache in her first six months of life that most people endure in an entire lifetime. I learned that she is a fighter...I learned that she is resilient...I learned that she is mine. Before the phone call, I knew nothing about her, but I loved her. After the phone call, I was in love with my daughter. Happy Referralversary Julianne Fanose!!!! I am so lucky to be your mommy!!!! Where is the LIKE button on this thing!? I can't believe it has been two years!! Congrats to you and your precious family! Yay!!! Thank God for your little blessing! She is truly precious! How we remember those life changing phone calls!! !